The package came very quickly! The bath sheet is the perfect shade of purple for my master bath. They are very absorbent and soft. The stitching looks like it will stand up for many years. I LOVE THEM! 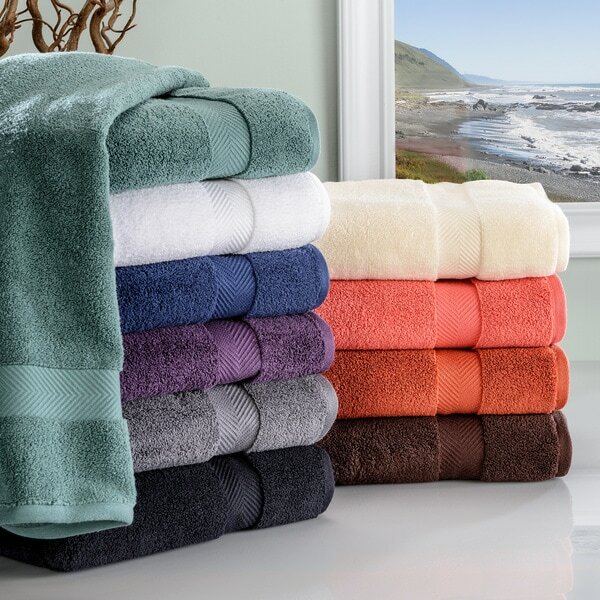 Supremely luxurious and exceptionally comfortable, these highly absorbent bath sheets feature 100-percent cotton construction in ten rich color options. Carefully engineered to maintain their vibrancy and plush feel even after being washed, these towels are long-lasting complements to your bathroom that your family can enjoy for years to come. Let the excellent design of these superior bath towels add a touch of high-end luxury to your home today. The digital images we display have the most accurate color possible. However, due to differences in computer monitors,we cannot be responsible for variations in color between the actual product and your screen. The Pros: These are nice, big and soft towels with nice color. The Cons: They are not as absorbent as I had hoped, the shed fuzz even after several washes and the edge of one has already begun to fray and I have only had them a month. Needing a change of scenery in my master bedroom and bath, I decided to add a complimentary color other than white. The main color I'm working with is sage green I chose the Grape Seed color towels for contrast. They look great against sage green and the towels themselves are plush. Who doesn't like to wrap up in a very large towel, I only buy bath sheet sized towels for the bath! The color is just like the photo...perfect! Great bath sheets, good value.Stock up ! Wash after wash they keep their color and fullness. Good quality at a great price. I will be ordering more for guest bath. A bath sheet is a wonderful touch for guests as they have a luxurious large bath sheet for a towel .Color choices are wonderful. Love them! When I saw these on Overstock, I ordered 2 set's of 2. I'm so glad I did, these bath sheets are so plush and thick. We've had these towels for over a year and they still look great!! Well Made Absorbent Towels that are a good size. The color they call Jade is really the light teal which matches today's color schemes with tans and browns. Love the color....it is very rich looking. I remember when a relations was over and he is over 6 feet tall...."Finally a towel that is my size". But it is not a towel... it is a BATH SHEET. Very soft and luxurious bath sheet! These bath sheets are not as large as I thought they were going to be. I wish all bath sheets were uniform, but they are not...They are just oversized (and not by much) bath towels. Very plush towels and the jade color is close to the color on the website, but not as dark as I would have liked. Nonetheless, they are pretty. I was amazed by these bath towels / sheets. They are huge. Super soft and very well made. The colors I ordered, jade and a set in grey, matched the advertised picture perfectly. I couldn't be happier with these towels and at a price that makes these even more of a great. bargain. I highly recommend. You won't be disappointed. Nothing like new towels except new bath sheets. The cotton is so soft and absorbent, the feel is wonderful. I would recommend these to family, friends, and people walking down the street! I am sure I will be purchasing more in the future. Nice, thick, absorbent cotton terry. My husband and I were looking for new bath sheets, but most of the ones we saw were too small and too thin. These are wonderfully thick and soft. We love them! The color is beautiful. The material is rich and dries well. Overall very happy with this purchase. Washes well and is very soft on your skin! Wonderful soft and large towel, HOWEVER after ONE wash one of the bath sheets had a fray on the hem. When contacting customer service was told that there is NO warranty and that there is a very limited time to return for refund. I purchased six of these and will certainly not be washing them very often (when only 2 people use them) AND I purchase 3 sets of the same type of towels that are for guests. The towels will be used even less frequently so by the time they are washed after use, it will be too late to return. Guess I am out a pile of money since Overstock does not stand behind the products they sell. Received the towels and they were well packaged. The first thing I do is give all new towels a double wash in cold water without fabric softener. That is where I give the towel less that an outstanding rating. The towels faded a bit during the wash and in the dryer they shed so much lint that I had to clean the lint filter three times. That reduced the fluff quite a bit. But the towels are well made, nicely sized for a big person and easy to use. For a bargain price I would purchase again. Thick, heavyweight and soft. Minimal lint / fuzz with the first wash. Absorbent, but not rough on skin. Would purchase again. I ordered two towels and washed them before use. One towel was fine, but the other has a partial unravel on the side seam. 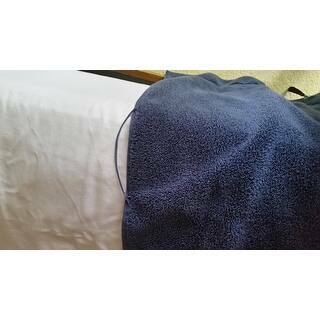 The towels are very thick and work well in a low humidity environment. These towels are a good quality nice and plush. You have to wash them at least three times because in the beginning they are not as absorbent. Very thick, soft. Washes up well and still fluffy soft. We really enjoy how Long these bath sheets are. I do love the product finally. It took over 2 weeks to arrive though. Excellent size. Very absorbent. Color good. Washes well. These are the most luxurious towels I have ever owned! Very thick and fluffy and absorbs well. The color matches my bathroom perfectly. Love them! Purchased for son...very nice towels...very soft. These are approximately 34 inches wide x 68 inches long. "Can someone who has purchased these towels assist me. I am looking for a set of towels that absorbs your body and not having to go over and over the same spot continuously. I recently purchased very expensive Turkish towels and even though they look and feel great, they slid right off me and did not absorb the water efficiently. I am looking for something in the line of like a Terry bathrobe and want to know if these towels will do the trip. Thank you"
Yes, these towels absorb well. These towels are very absorbent. Perhaps the problem is sweating. Does your bathroom have an exhaust fan? Do you have a very hot shower or bath? These towels are absorbent enough for me, but based on what you say you’re looking for, they may not be absorbent enough for you. I feel like you’re almost looking for something with the texture of a good-quality pool/beach towel, which these are not. Purchased as a gift for a friend and the recipient loved the towels ! I bought these to use as car seat covers that go over the head rest. They're HUGE. Very thick. They wash very well with no shrinkage. I always do a cold water wash before using to remove any chemicals used in manufacturing. Also to set the color. Sorry that I can't answer more. "Is the grape seed color more a dusky color or a bright purple?" It is a dusky color. I found the grape color faded quite a bit, but is still attractive. "Do you have a set of hand towels of the same quality and color (expresso) of these oversized towels that I can order??" All of towels I bought are for gifts for Christmas so no I do not have any of the hand towels but the two bathsheets of this brand are very good towels. Unfortunately, there are not coordinating hand towel separates for this set. "What is the GSM of these towels?" I don't have a way of calculating but these are as posh and heavy as any towel I have ever owned or used. Using one is like a warm hug. "How big are these bath towels?" 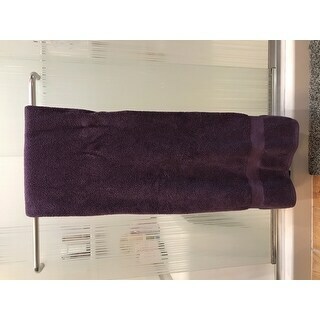 These bath towels measure approximately 34 inches wide x 68 inches long. These bath sheets are great! They are like beach towels and you can totally wrap yourself up in them. Because it advertised as absorbent. plush and match my new bedding, a plum color (grape seed) and I love large bath sheets.